A filled book that is a book with blank pages. 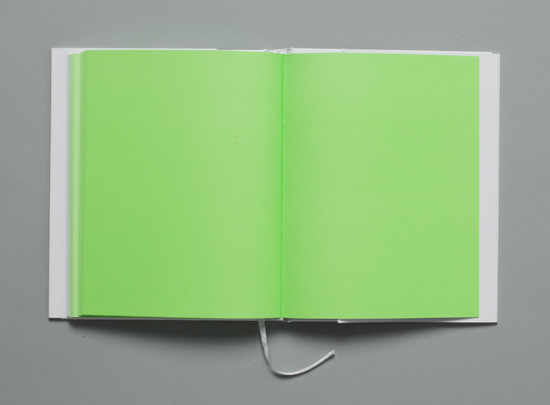 A gradience from white to fluorescent green is unfolding over the sequence of pristine pages, running from the first to the last. An original photographic print of the museum's banner which the dust-jacket's design is referencing is included in each copy. The book is available at the museum shop and on request.